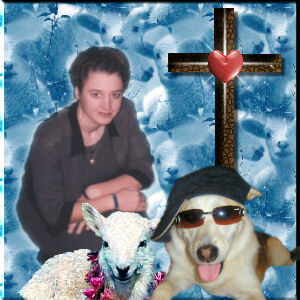 "I welcome you to "Loyal Lamb Outreach" this outreach will be used to share stories of children who have suffered from critical illnesses and who are mentally challenged, children who have passed away and so much more. I will also be sharing the stories of the children I will be meeting within the year 2009. I will be traveling all over Canada and hopefully over to the USA This outreach will continue to grow everyday. The outreach is made in memory of my dear friend Jinnette Rachelle Ellwood. Feel free to read what I have written about her. The mascot of the outreach is a little boy name Shiloh who was in a near drowning accident and has been in a coma since he was eight months old and still remains. I pray that Loyal Lamb Outreach will be a place you may seek comfort. Keep checking this site as it will be added to on a daily basis. Remember my love and prayers are with you! If you want to make donations let me know to what family and I will give you their contact information. Loyal Lamb Outreach does not accept any funds. I am here to show you God's love and that is free of charge. I have permission for all background music.